Welcome to Yes We Do, "Do Windows". We specialize in hard-to-reach windows, skylights, chandeliers, and light fixtures. We pressure wash homes and grounds. We clean gutters & flush down spouts. 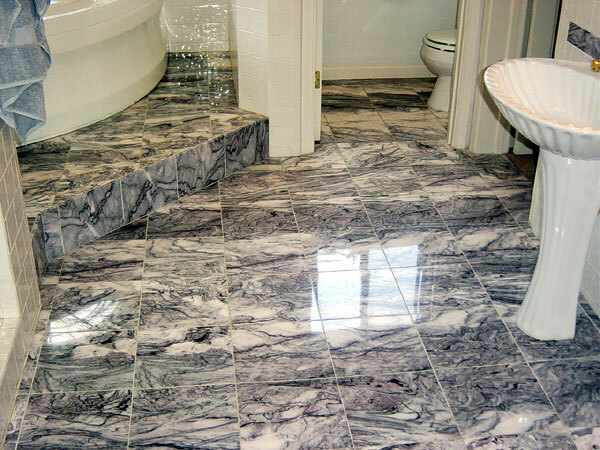 We can restore your stone and marble floors to brilliance. We professionally stain Mexican pavers. We specialize in grout colorants. We work with realtors transforming homes into "mint" sales condition. We are famous for our Christmas light service. We also do construction clean-up, commercial and residential. ● The full service package; this package requires new lights so that we can guarantee our installation with confidence. This includes two free service calls- if anything goes wrong with the lights during the Christmas holiday, we will return to do whatever needs to be done to get them running again. We also return after the first of the year to uninstall the lights. ● Where to get the lights? For your convenience “Yes We Do, Do Windows!” can sell the lights to you, or we can tell you where they can be purchased. There is a markup if you purchase the lights through us. ● What about cords and light-timers? We can use extension cords and light timers that you have, or, as with your lights, we can either sell cords and timers to you so that you do not have to track these items down, or tell you where they can be purchased. As with the lights, there is a price markup. ● This package is charged by-the-foot with a $500 minimum. By-the-foot charges will be determined by the application method beginning at $2.75/ ft.
● This package is the same as the full service package with no free services calls. ● There is a 10% service charge to ensure that all lights are working properly and are serviceable. ● This package also charges by the foot with a minimum charge of $350.00. ● By-the-foot charges will be determined by the application method beginning at $2.75/ ft.
● You have your old or new lights and need help with installation. The Hourly charge for one technician to assist with installation is $75.00 per hour; the charge for two technicians would be $125.00 hr. ● With this package, it is strongly suggested that before our technicians get there you have already untangled and checked your lights- because we really don’t want to charge you by the hour to untangle your lights! ● This package has a minimum charge of $150.00. ● We would, however, just like to install them for you! We are locally owned and operated. Yes We Do, "Do Windows!" takes pride in providing the extra effort to keep your space looking to the highest standard. We personally guarantee all of our work. Please take a look at our detailed services section to see exactly how Yes We Do, "Do Windows" can help you. Ever wonder how to clean the outside of the skylight, or the windows that stretch to the top of the vaulted ceiling? How about removing tough grime without streaking? Today’s technology in tools and purified water systems makes this job easy for the professional. Let us un-muddy your view today! Nothing removes mold and stains off of driveways and walkways better. A pressure wash also reduces the number of times you have clean windows! That’s because rain does not dirty windows, but the dirt on exterior walls that the rain drags onto the windows. Pressure washing the exterior walls is the best solution by cleaning the walls that also make your windows dirty. Many people, like the client who owned these carpets, are quick to assume that stain damage is irreversible. On the contrary, today’s technology can make even the toughest stains disappear. Needless to say, the expense of a good carpet cleaning is far less than the cost of new carpeting. Many times dissatisfaction with a surface can be pinpointed to the grout. Discolored grout can steal the beauty from tile surfaces. Many times, the color of the grout can detract from the surrounding material and a simple change of color will solve the problem. Let us show you some cost-effective options. Property owners often overlook maintenance of gutter and downspout systems. When clogs develop in the system serious problems can occur such as stains on the exterior of the building or flooding within the walls themselves. Having the gutter and downspout system cleaned and flushed is essential for the longevity of any gutter system. People mistakenly assume that only higher-end flooring, like wood and stone, can be refinished. Nothing could be further from the truth. Modern technology makes it possible to restore the original luster and shine to linoleum flooring preventing the expense and headache of having new flooring installed. Marble, granite, stone- there are a multitude of surface materials and the number of sealants is staggering. These products are tailored to suit the demands of very specific materials and application methods can vary greatly. Each surface requires its own tailored approach. Let a trained expert select and apply the right sealant for your needs. The common myth is that if wood looks bad it needs to be replaced. In reality the appearance of wood can fade quickly while the wood maintains its integrity. Replacing a deck merely because it looks tired and worn is foolish. Restoration will not only renew the wood to its true color but will also help extend the life of the wood. When marble becomes damaged the situation often looks hopeless. The client who called with this job was ready to give up and replace everything! Today’s technology makes even some of the worst damage reversible. Before you decide to replace damaged marble work give us a call. This stone has earned a reputation for toughness and durability. Yet, even granite can lose its polish and color. Most people fail to notice because the deterioration is incremental over time. Having a granite surface sealed will renew the original color and protect the stonework in the future. Over time, dust and other particles can build up and cause the shine on your intricate and fragile crystals to dull. Yes We Do, "Do Windows!" takes pride in carefully cleaning your chandelier and restoring it to its original sparkling condition. Please do not underestimate the danger of hanging lights without the assistance of a professional. Call a local hospital and ask how many people sustain serious injuries every year doing this task alone. Show us your plans, put your feet up, and let us do the ladder work for you. We promise you’ll have a happier holiday.